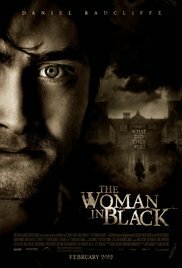 The Woman in Black 2012. Directed by James Watkins. This is quite an interesting film in several respects. Firstly, it was based on the wonderful novella of the same name by English writer, Susan Hill. Despite its Edwardian setting and reading like a period Gothic horror, it was originally published in 1983. Secondly, it was part of the re-emergence of Hammer Film Productions, that most famous British horror studio. In the 60’s and 70’s Hammer was the spiritual home for so many people like me, who grew up watching Christopher Lee and Peter Cushing. Thirdly, it was the first bona fide adult screen role that Daniel Radcliffe took on post Harry Potter. And despite the fact (to me at least) he looks almost impossibly young, he really brings a lot of heart to the role of Arthur Kipps and undeniable star power to the whole film. And he pretty much carries the movie. I particularly enjoyed his scenes with Ciaran Hinds, and by the end, found myself genuinely caring about poor Arthur. Despite being a fairly standard tale in many respects, this is a genuinely fine old-school horror film, with good measures of tension, scares and pathos. It also caused quite a stir in the UK when the BBFC (British Board of Film Classification) decided to rate it a 12A instead of a more appropriate 15. The producers offered to cut a few scenes in order to get the lower rating – and capitalise on Radcliffe’s huge box office appeal to young audiences. Nevertheless, this is still a good and very entertaining film. I think it’s worth a watch, if only for Radcliffe taking his first steps to shake off the shadow of the boy wizard.